Good Morning, gosh it's a bit nippy this morning isn't it? 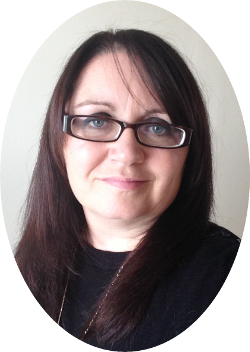 Today I'm sharing the project from our team meeting at the weekend. The card has a box of tea lights incorporated which makes it a card and gift all in one! 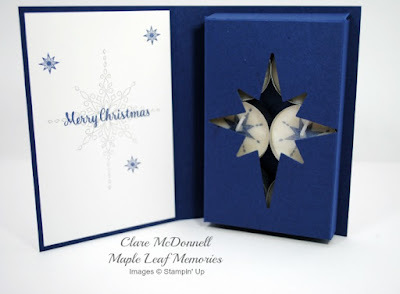 The design is based on a design I saw on Pinterest by a lady called Marianne (can't find a second name)although I have resized and changed her dimensions for my card. 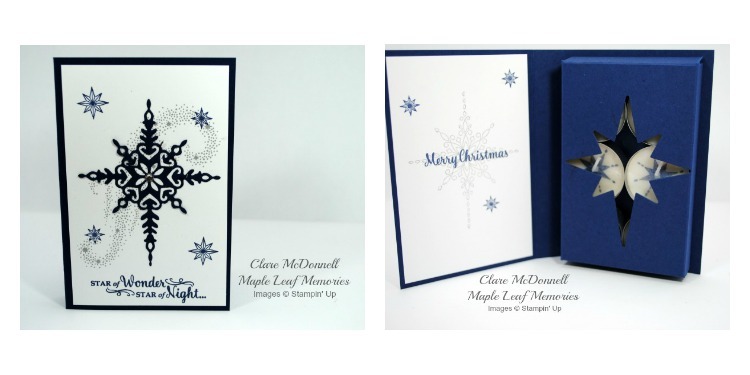 I decorated the card with the stunning Star of Light stamps and co-ordinating dies. To decorate the tea lights, I stamped one of the images from the set onto some white tissue paper and punched it out. I then used my heat tool to melt it into the surface of the tealight. 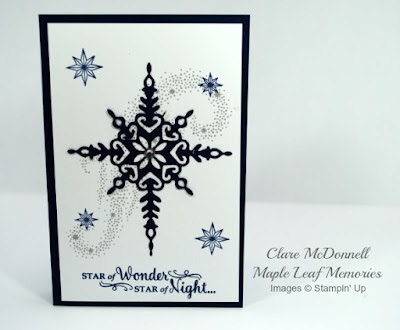 I can see me recreating this project again and again with various stamps and dies, it would be lovely done with florals for a birthday or Mother's day. 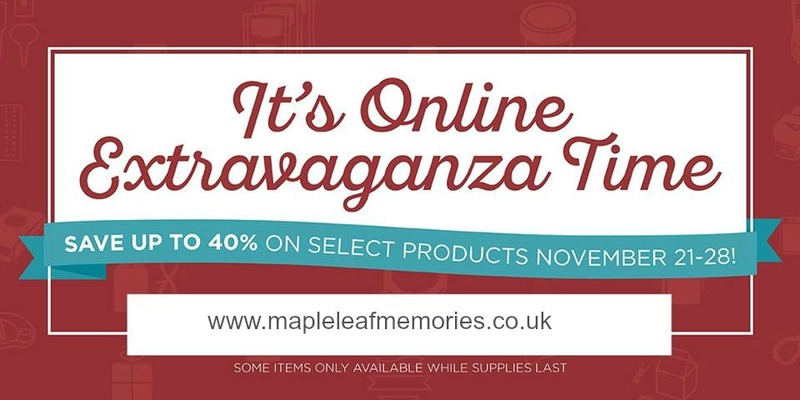 If you haven't already, make sure to check out the fantastic offers available in the Online Extravaganza which runs until 28th November or while stocks last. 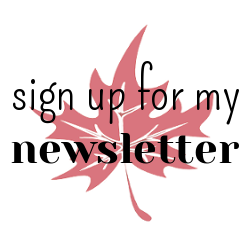 Don't forget to use the Hostess Code for November when ordering which is QE7GMGWZ and receive a thank you gift from me. Only use this code for orders between £25 and £150. 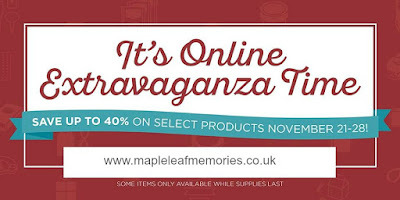 Orders over £150 will qualify for their own Stampin' Rewards. 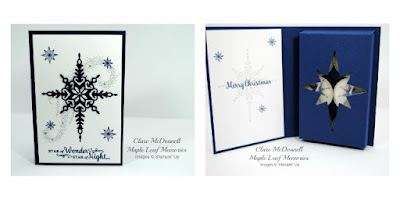 All content on this blog is the the property of Clare McDonnell, Stampin' Up! Independent Demonstrator. 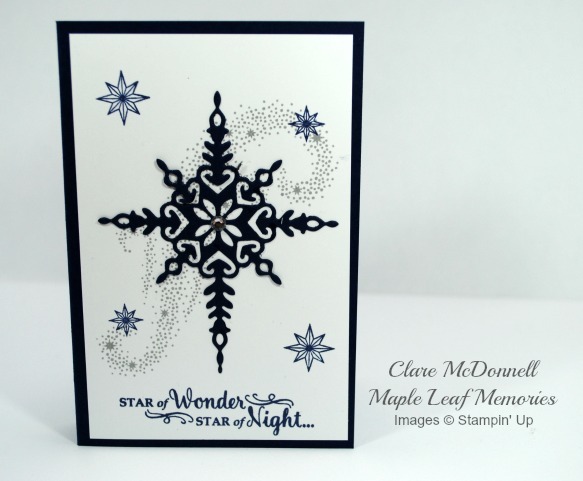 Classes, services and products offered here are not endorsed by Stampin' Up! Projects, photos, ideas and articles are shared for personal use only and may not be removed duplicated, or copied without permission.